Giant Exhibition Dewlap Toulouse are one of the largest and heaviest breeds of geese. These are show birds. 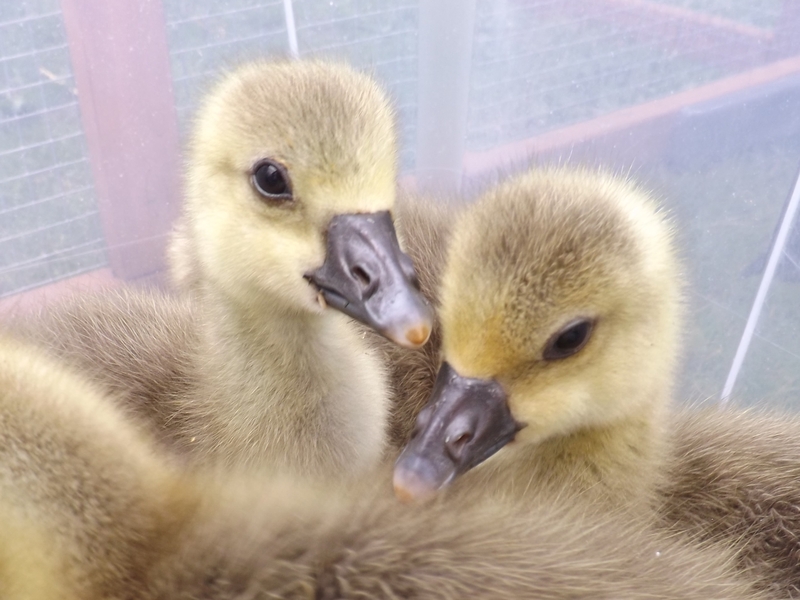 They, and their cousins the Utility Toulouse which are bred for meat, were both developed from wild Greylag geese. 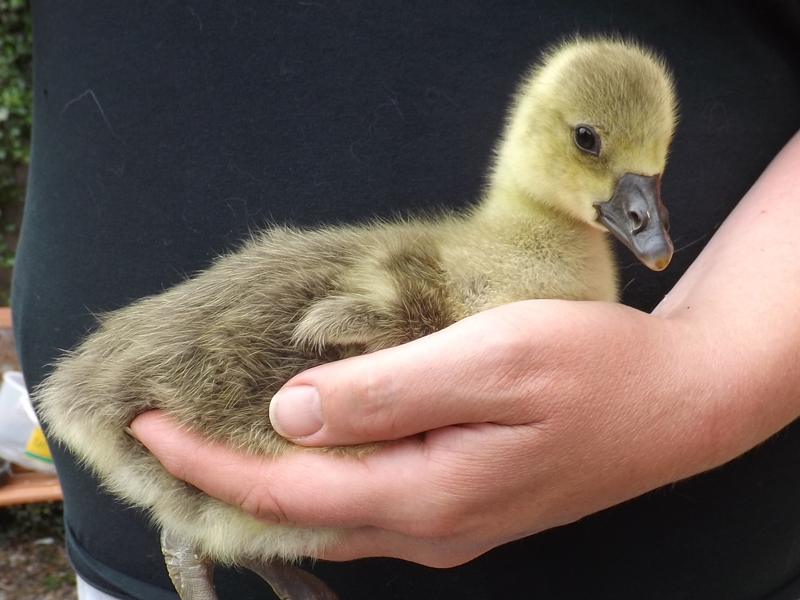 (All geese are derived from wild geese breeds; as all ducks apart from Muscovy ducks come from the Mallard). 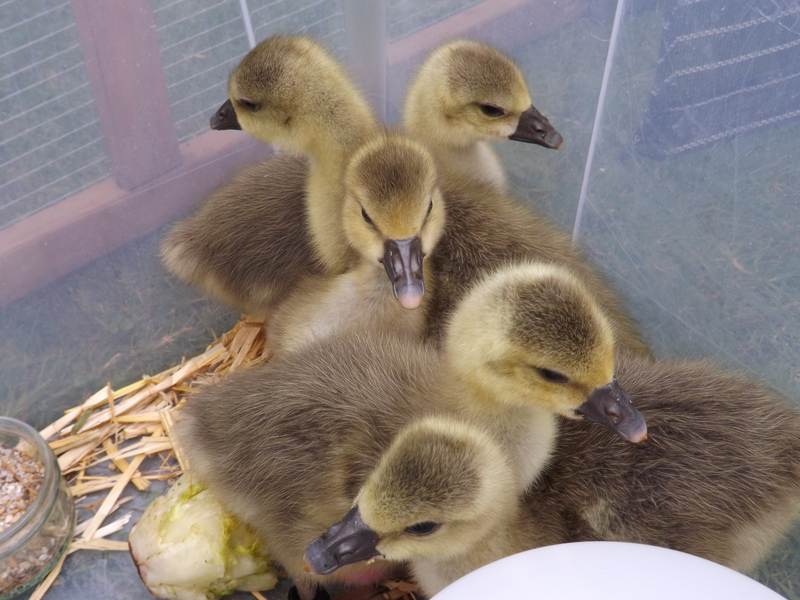 So, only 6 eggs… I hoped for at least two happy & healthy goslings, any more would be a bonus. In the incy 24th May. One egg removed at 3 weeks. 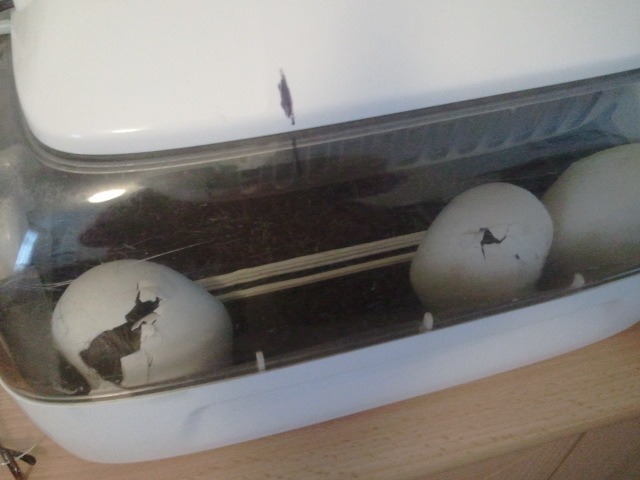 Of the remaining 5, on 22-23 June all hatched!!! Hurrah! 2 went to their new home at just over a week old, the other 3 stayed longer. 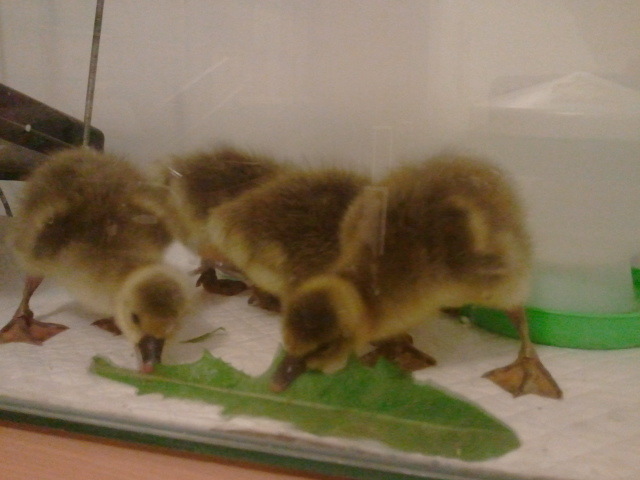 They were just as I had read about in my books – taking longer to develop than ducklings but more sentient. 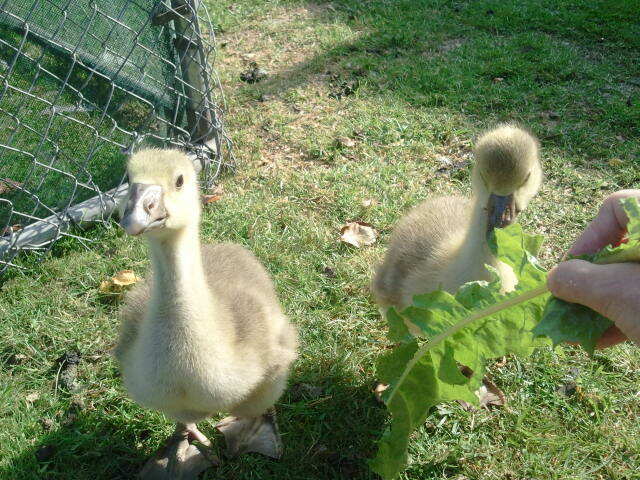 They were so lovely and I do miss them… but by almost 3 weeks old the 3 rapidly growing goslings with their huge appetites for grass had nearly grazed the whole lawn! 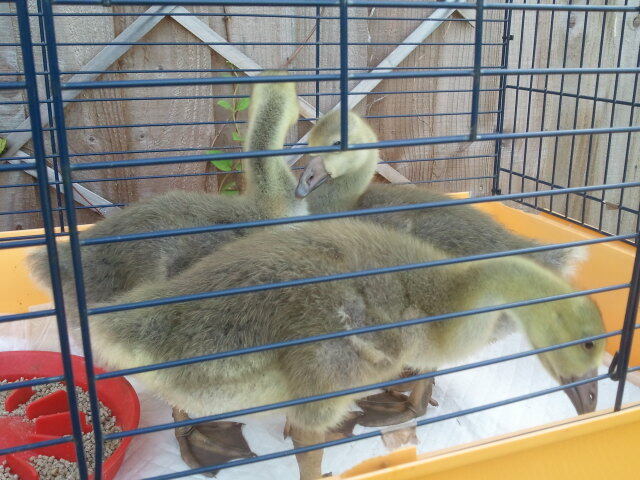 Giant goslings soon to hatch! From a very young age, mad about dandelion leaves! 2 weeks old. 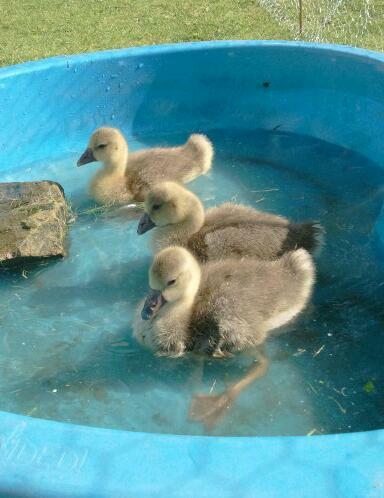 Three who stayed longer having their first swim. 2.5 weeks. Still mad about dandelion leaves! !